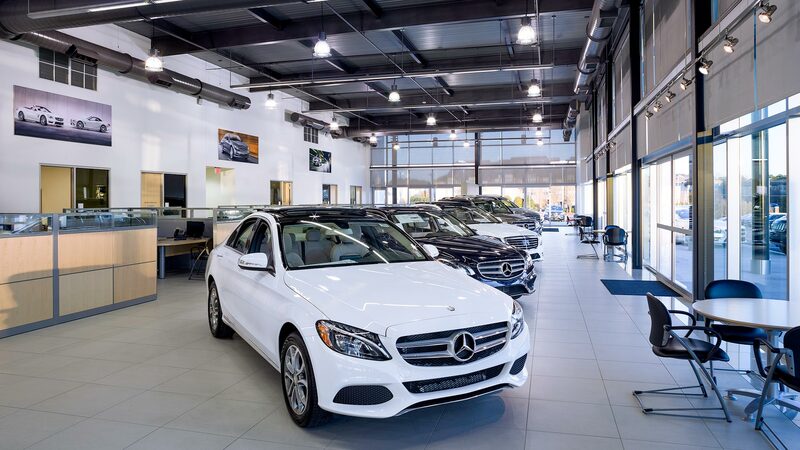 Located minutes away from Southpoint Mall, this store was the first of many dealerships to open its doors at Hendrick Automotive Group's Southpoint Automall site. 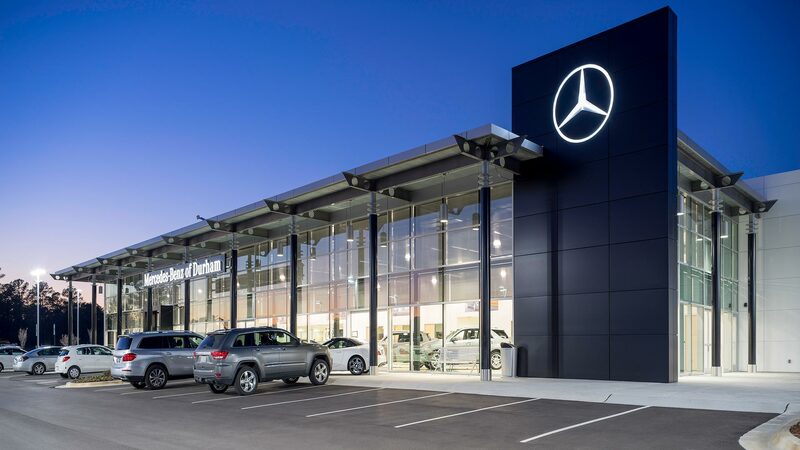 When completed, Mercedes-Benz of Durham became the face of the Southpoint Automall. The use of painted exposed steel columns, exposed roof deck and raw unfinished ductwork gives this store a strong modern presence. With 19 service bays, 3 wash bays and 6,500 sq. ft. of parts (with room to grow), this dealership has set itself up for years of success.